If there’s one weapon you’d want to grant Wonder Woman with, what would it be? 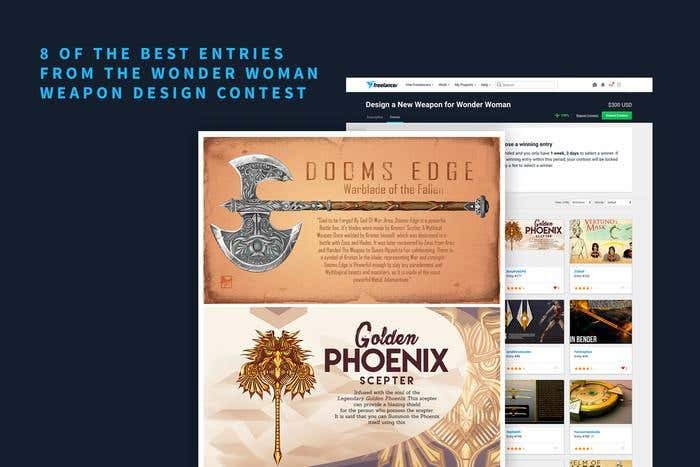 Two weeks before the premiere of the Wonder Woman movie, we asked our community to submit their weapon ideas for the Amazonian princess. Out of 184 active entries, we shortlisted eight submissions from which we selected the three winning designs. This “Dooms Edge” by Mayank94214 from India was the runaway winner. 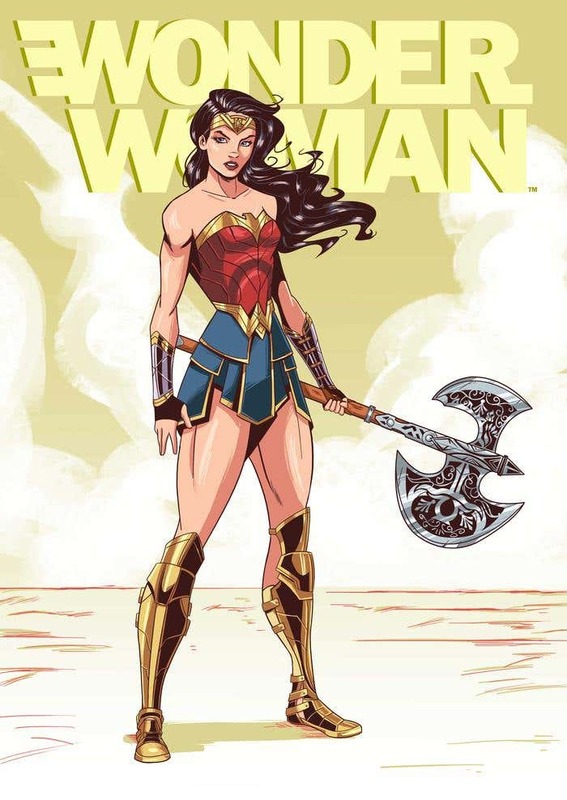 He also made a fanart illustrating how this axe looks a lot more awesome once it’s in the hand of Wonder Woman. This “Golden Phoenix Scepter” by BonaFideGPX is one of the two runners-up. The Filipino designer wrote in her description that Diana can summon the Phoenix using this scepter and will be protected by its blazing shield. Another runner-up is this “Hephaestus’ Staff” created by dandrexrival07, also from the Philippines. This weapon yields the weapons of Zeus (Thunderbolt), Poseidon (Trident), and Hades (Hellfork). The designer also provided details about the staff itself and how it can help Wonder Woman in her battles. This “Helios Scepter” may look quite fancy for someone as tough as Diana, but it’s still something we can imagine her using. Any weapon bearing the power of the gods would be useful particularly in her duel with Ares. How about another sword? It may be shorter than the one Diana already owns but because, according to the designer, this sword was forged by Hephaestus, we thought that this weapon was destined to kill Ares. If you can recall, Ares had an affair with his own sister, Aphrodite, Hephaestus’ wife. This “Simitar of the Lost Souls” is among our favorite entries. It’s also done by BonaFideGPX (it’s part of the contest rules that a designer can only win once). We can already picture Wonder Woman with this pair. These last two designs both originated from Hades. The “Helm of Hades” below is a creation by DenioViana. Apart from the power of invisibility, we asked him how this helm will affect Diana’s personality. He said when Wonder Woman wears it, Hades will control her and influence her to get angry. Not sure if that’s a good thing though. This “Helm of Light” also gives Wonder Woman the power of invisibility. Additionally, it affects her personality, and the more she uses this helm, the stronger the effect of darkness will be in her. But what sets this helm apart from the first one is the “Divine Stone”, which nullifies the scathing effect to her personality. We had such a great time running this contest. Every day, we were looking forward to more and more brilliant designs. What surprised us were the backstories and descriptions the designers wrote in the entries. It was fun reading through all of them! Look at the rest of the entries and see what we’re talking about. If you missed this competition, check out ongoing illustration contests you can join in. And if you’re an employer looking to receive fantastic illustrations as the ones presented in this blog, post your own contest today.